Wall caps are an elegant way to finish any boundary, entry, or retaining wall. These attention-grabbing architectural elements will help add protection and an aesthetically pleasing touch to your project. 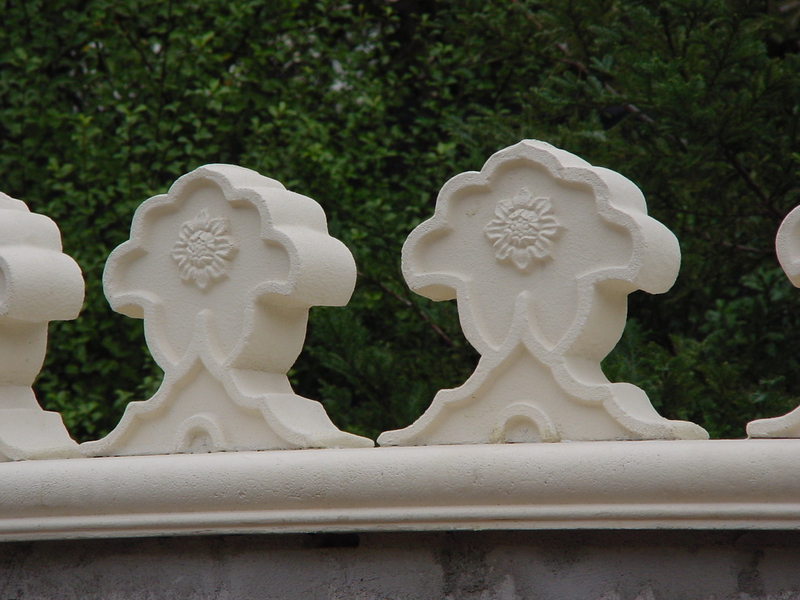 Made from glass fiber reinforced concrete, Stromberg wall caps range from formal to fanciful. Enhance your outdoor living experience by utilizing this versatile product. Stromberg specializes in GFRC and they know how to craft wall caps that will add just the right embellishment to whatever setting you choose. They offer an extensive in-house stock collection of popular wall cap designs, or you can choose to have them create something custom. Glass fiber reinforced concrete can be molded into an almost endless number of design motifs. As the leading manufacturer of GFRC, Stromberg professionals will work closely with you, guiding you every step of the way, until your GFRC wall caps are completed to perfection. Variety, quality and unparalleled customer service are what you can expect from Stromberg Architectural Products. The leading manufacturer of its kind in the industry, with 30 years of experience. Wall cap design experience includes plazas, resorts, casinos and individual homes. Original designs are available when you utilize the customization process. Stromberg is your partner in excellence; their quality and durability meets or exceeds customer expectations. GFRC wall caps from Stromberg have a smooth finish; their polished appearance makes them a quality addition to your home or business. Stromberg GFRC is very adaptable. 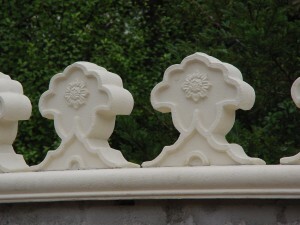 Wall caps are available in unique finishes and several different textures, such as rough, smooth and washed. Stromberg GFRC comes in a variety of colors. Custom colors are available to help achieve your desired effect. Glass fiber reinforced concrete wears very well. You can’t go wrong with this high performance product; it can stand up to heavy rains, hurricane force winds and prolonged hours of sunlight. The world-class designers at Stromberg Architectural pride themselves on quality craftsmanship and close attention to detail. Their creative problem solving and 30 years of successful project completion will enrich your experience. Contact them today at 903-454-0904 for your free custom quote.